Well, I guess no being is perfect. 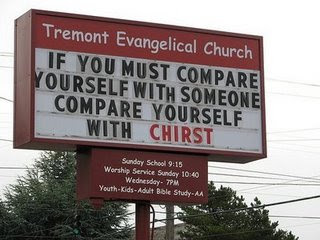 I, and Chirst, thank the Crummy Church Signs blog for providing today's spiritual awakening. Bonus points for setting the name of the church in Comic Sans!